As per the recent reports published online and recently reported by Bloomberg, Apple is testing this new feature of facial recognition system as the replacement security feature for a fingerprint scanner. The new security layer for unlocking the upcoming iPhone tipped as the iPhone 8. The technology doesn't limit to unlocking the handset but perhaps be used to authenticate payments, launch secure applications and more. The improved facial recognition system is based on a new 3-D sensor. As report suggest, Apple is expected to ditch the home button for the high-end iPhone in favor of an edge-to-edge screen. But that change would eliminate the location of the fingerprint reader. That has led some to wonder whether Apple will move the reader, embed it in the screen or get rid of it altogether. Apple analyst Ming-Chi Kuo of KGI Securities wrote in a recent note that Apple won't put the fingerprint reader in the display something many hoped the company would do to be more consistent with its current design. But the report didn't indicate where the fingerprint reader may go. Getting a bit more speculative, the popular YouTube channel EverythingApplePro drew attention when it posted a detailed metal-and-glass mock-up of the premium iPhone, which it said was sent by a Chinese case maker. That dummy phone did not have a spot on the front of the phone for a fingerprint reader, though it did show a case with a cut out in the back of the phone, over the Apple logo. That could mean that, like on competing smartphones, the fingerprint reader could go there. Or the case may just be designed to show off the Apple logo. Still, it would be surprising to see Apple drop the fingerprint reader, particularly given how hard the company has pushed Touch ID and how integral it has become to the phone for logging in and purchasing. As per the other reports, Apple is also said to be testing an eye-scanning system, something that could debut alongside the face recognition technology with the iPhone 8 later this year. 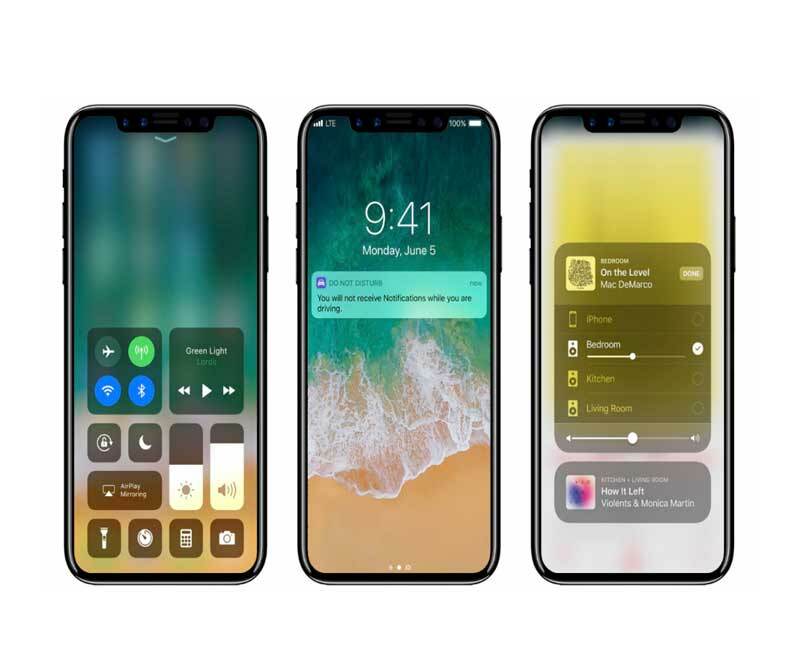 If you recollect, as per the earlier reports Apple is also being said to ditch the iconic Touch ID scanner in favor of an on-screen fingerprint sensor, something that also acts as a gateway for the company to use extended displays in the handset. We have already seen several renders and even hands-on video showing the alleged iPhone 8 with minimal screen bezels. As we are aware that Apple has already ditched 3.5 MM headphone jack from the iPhone to make it thinner and now fingerprint can be sacrificed for the edge-to-edge display. All though these reports are to be taken with a pinch of salt as they might not be correct. Other than the sensors, reports also mention how Apple is also testing iPhone models with a dedicated chip for processing Artificial Intelligence (AI) tasks. It has been already reported that a dedicated AI chip, internally called as the Apple Neural Engine, can result in a better battery performance as it won't use the main A-series processor for such tasks.